Prerequisites: basic cubed right angle weave skills--see intro class on Nov. 10. 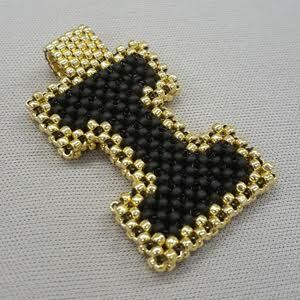 Use your cubed right angle (CRAW) weave skills to create a woman symbol pendant. 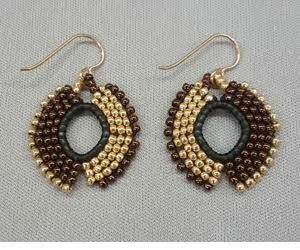 You will have a choice between spinel and amazonite 3mm cut beads. 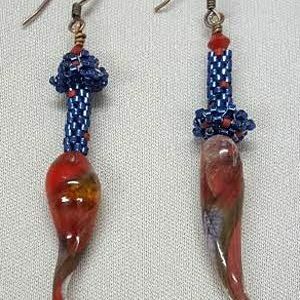 This pattern is easily transferable to any size glass beads. 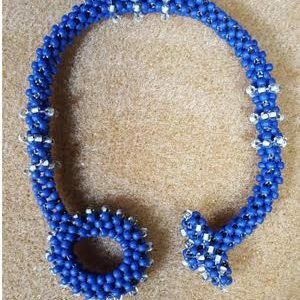 Make a peyote strip, zip it together, and learn to make a rounded end. 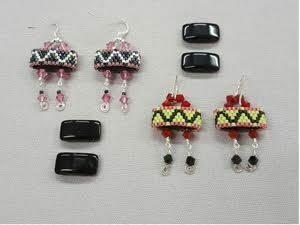 Then use this peyote bead and Swarvoski crystals to embellish a lampwork headpin to make a beautiful pair of earrings. Learn the peyote stitch, a fundamental off loom weaving technique used in many projects in contemporary beading magazines and books. 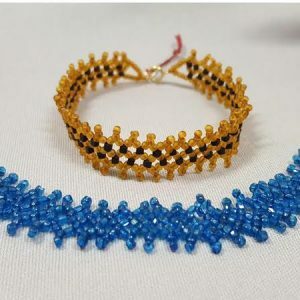 Participants will create a bracelet with peanut beads, which is like making something two layers thick with only one layer of actual beading. The bracelet is a substantial piece of jewelry that looks great on your wrist. Learn how to finish an edge and add a clasp. 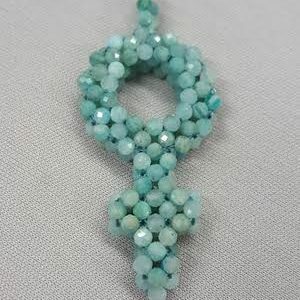 Use peyote stitch to cover the new 2-hole carrier beads with a simple pattern with Delica beads. 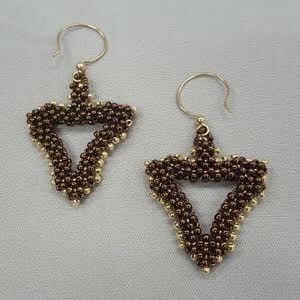 Embellish them with Swarovski crystals using basic wirework skills for a dynamic pair of earrings. 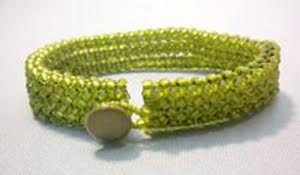 Prerequisites: Any seed bead weaving experience. 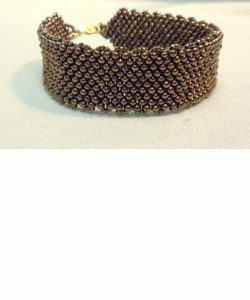 Making this herringbone bracelet teaches you how to move from a larger base to three individual strips of beading using Toho 8/0 and 15/0 seed beads. Connect these three strips back into a larger base on the other end. This bracelet can be worn as a flat three stranded bracelet or twisted for a different look.